During Black Friday last year, I really went HAM on makeup purchases. One of the brands that I had been wanting to pick up some new items from was J. Cat Beauty. This brand is actually available at Ulta and I love a few of their lip products, particularly the lip paints, but only in limited release. 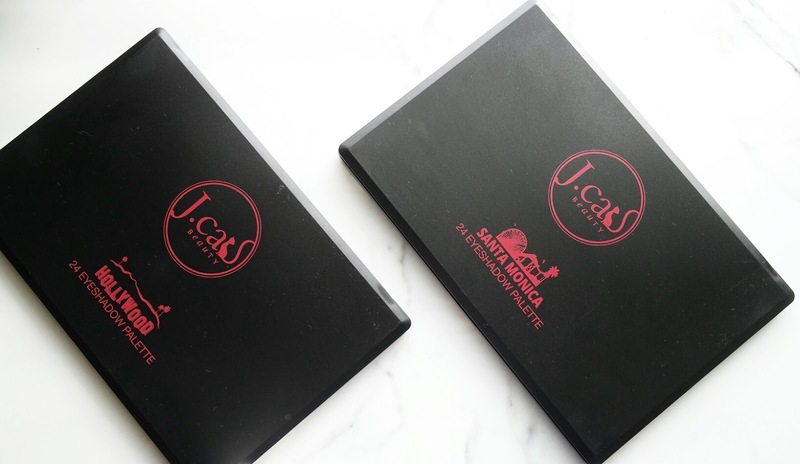 So on black Friday, when they had a 35 percent off sale, I decided to just go for it and try a couple more of their products, including the eye shadow palettes I am going to show you today. 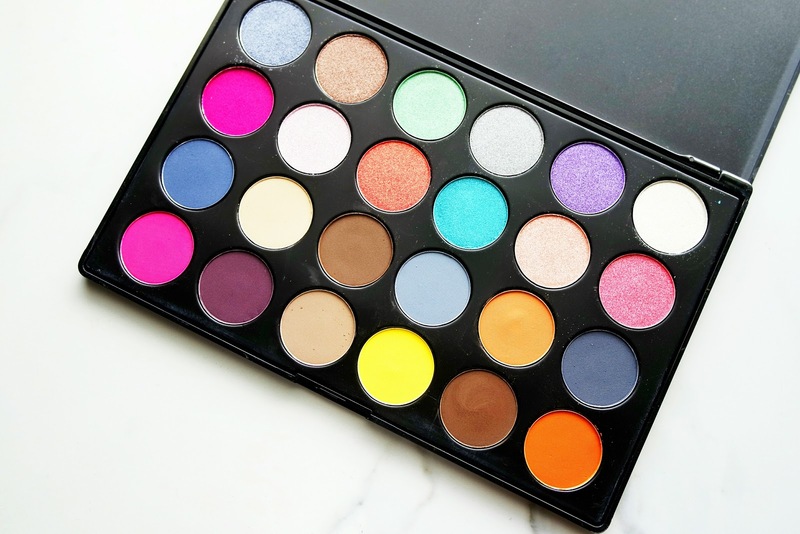 The 24 Eyeshadow palette is one of J. Cat's new releases and comes in 3 variations. I was able to pick up the Hollywood Blvd and Santa Monica palettes. The Hollywood palette is a bright and bold palette, while Santa Monica has a cool palette. They retail for $17.99 and can be purchased on the J. Cat Website here. There are 12 mattes and 12 shimmers in each palette and at $17.99 I think that this is a pretty good deal! As far as color preference, I think that I was drawn more to Santa Monica. 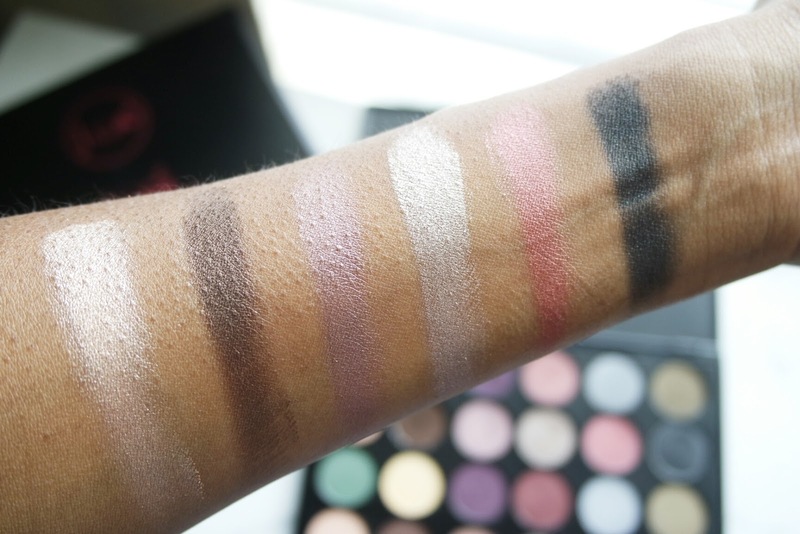 The mattes in this palette are to die for and the shimmers are so pretty. The question is though...How do these perform on the eye? Are they a beauty steal or complete waste of time. 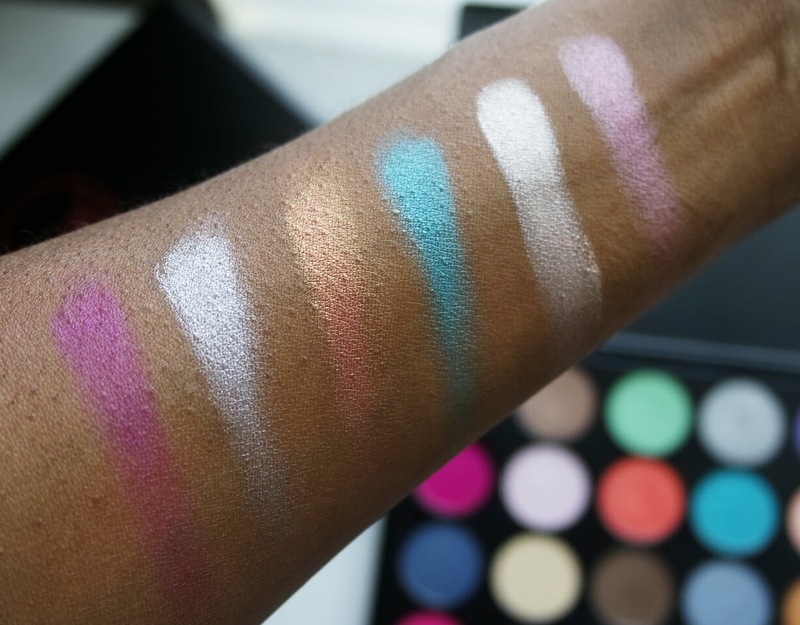 The pigmentation in this palette is hit and miss. 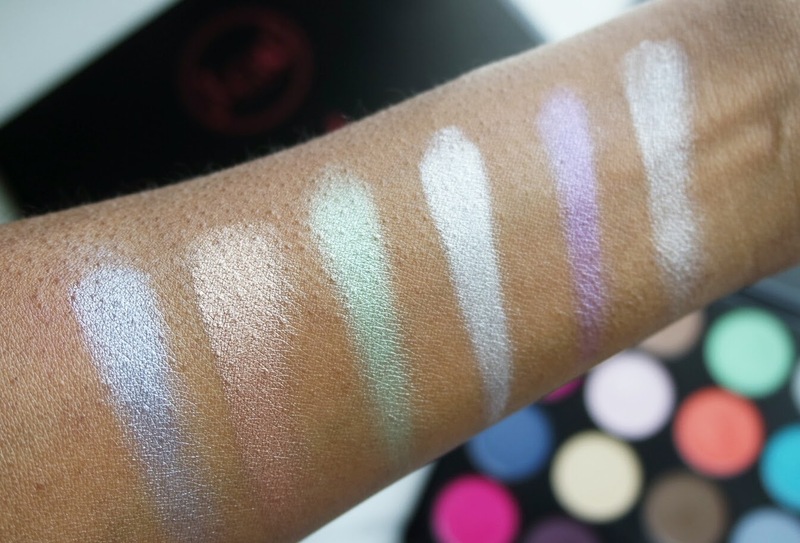 All of the shimmers are stunning, they pick up nicely with a brush, but the mattes leave a lot to be desired. They have to be built up and the brighter colors perform way better than the deep smokey colors like the black and greys! These will need a good sticky primer to stick to the eye. 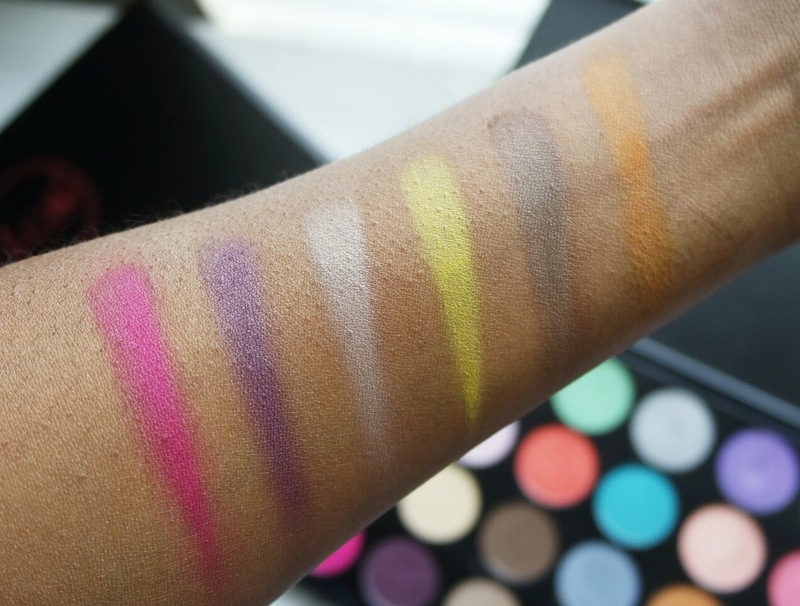 I typically used the Wet n Wild eye shadow palette and it worked amazing. 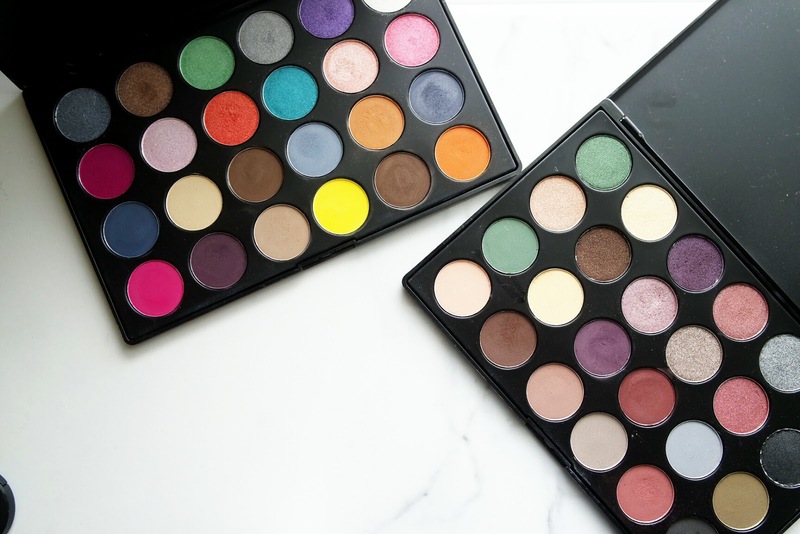 These palettes have basic black packaging, much like the Morphe palettes. There is no mirror and each shadow is about the size of a Mac Eyeshadow. The shadows are arranged so that the shimmers are the first two rows and the bottom two rows are all matte. Both palettes, are cohesive in the color selection. 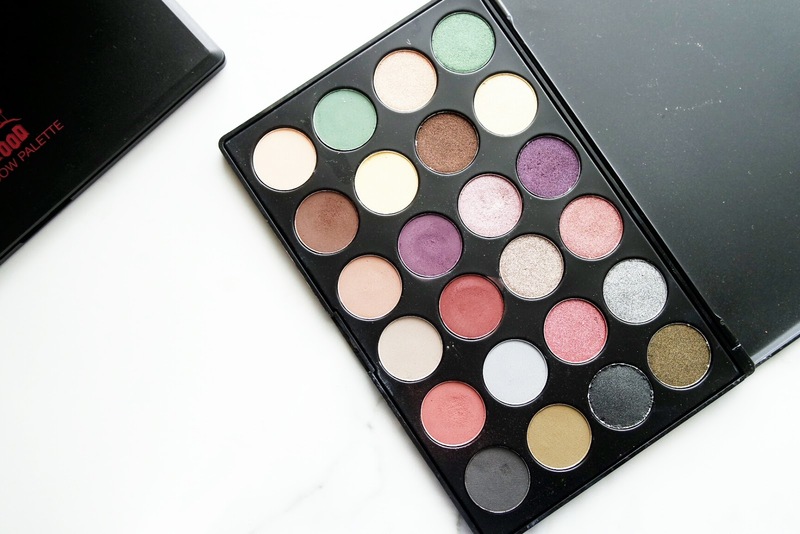 You can definitely use these palettes stand alone to complete and eye look as there is a pretty good variety to choose from. 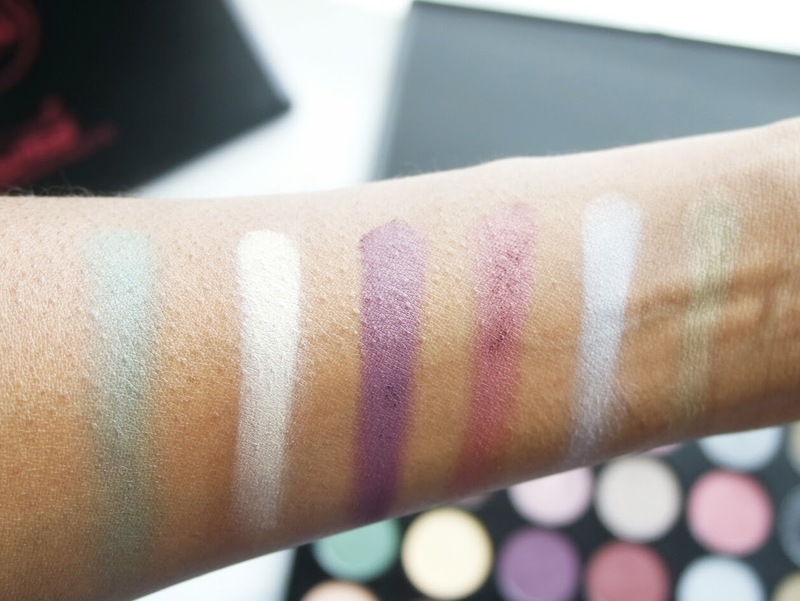 This palette is not bad by any stretch of the imagination. I think that the shimmers are gorgeous. They are super pigmented and almost have like a heavy silicon feel to them. I am pretty sure that's what makes them show up on the eye at full pigmentation. I just really don't care for the mattes. 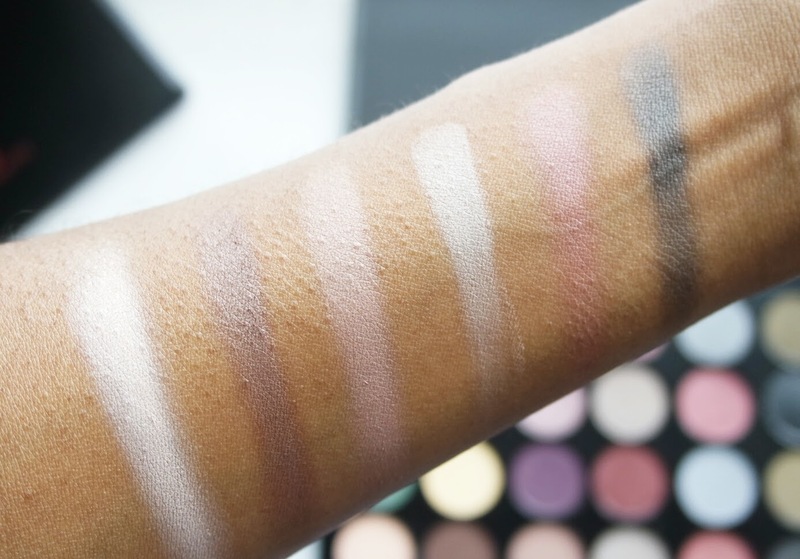 First, you will definitely need primer and a good base for any of the mattes to show up. 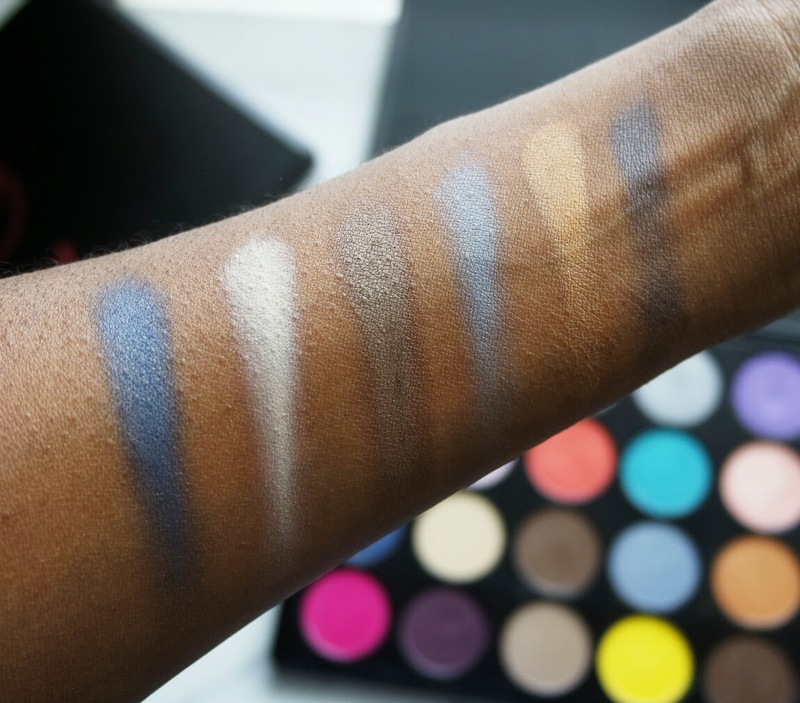 I found that it took several layers of product for some of the shadows to show true to color and found them to be powdery. Some are definitely better than others. 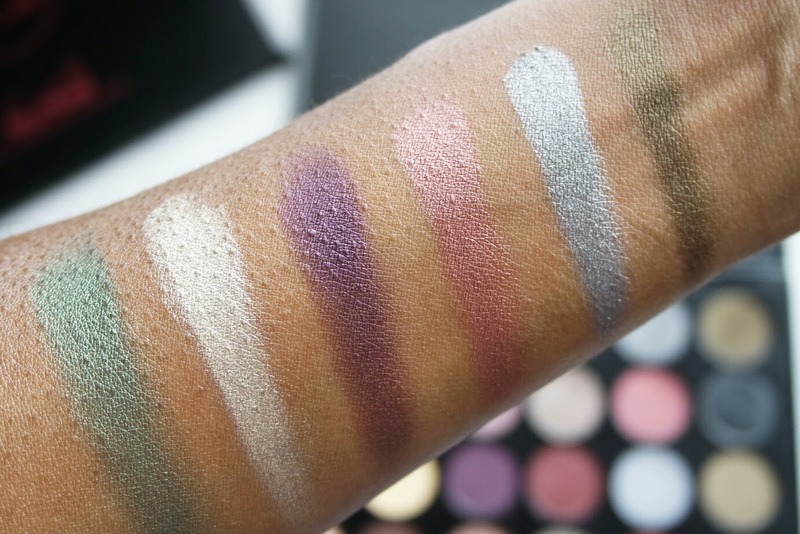 For example, all of the mid tone mattes are really pretty and look nice on the eye, but the darker mattes just didn't have the intensity that I personally like. 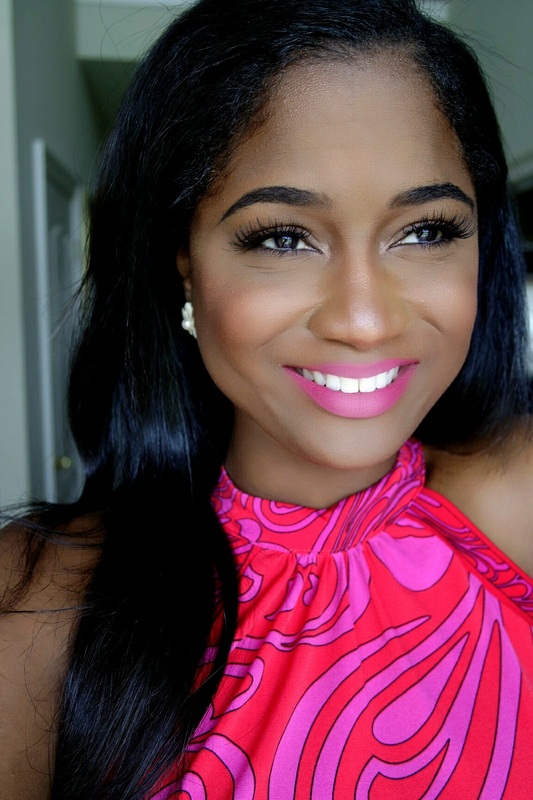 I think lighter skin tones will love the pigmentation, but the NW45 girl needed just a little bit more. These have pretty good staying power, but primer is a must for most eye shadows and these are no exception. The palette is still worth it for the price. All in all there were only 2 or three duds in each palette. Make sure you find a coupon code, as the site always has a 25% code and free shipping over $25. I am glad I have these in my collection and definitely use them on a regular basis! Have you tried the J. 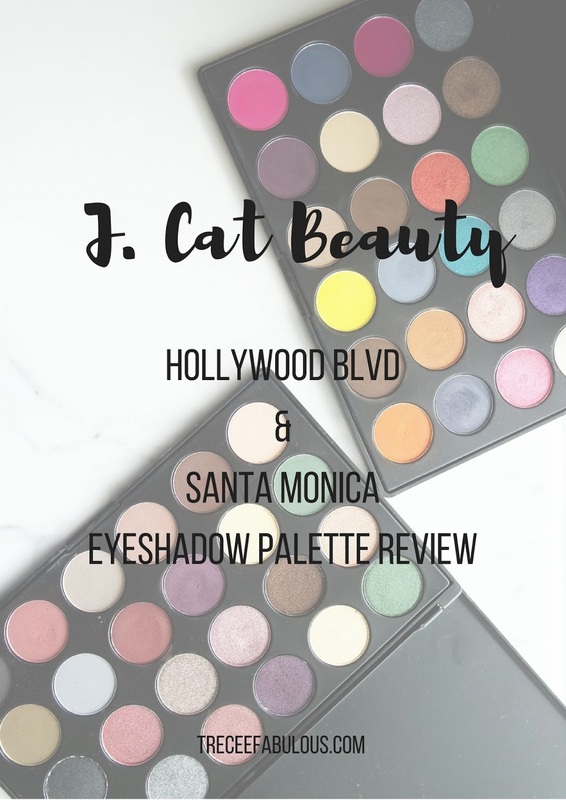 Cat Beauty 24 Eye shadow palettes yet? Leave me your thoughts in the comments below! Love Santa Monica 4th row. 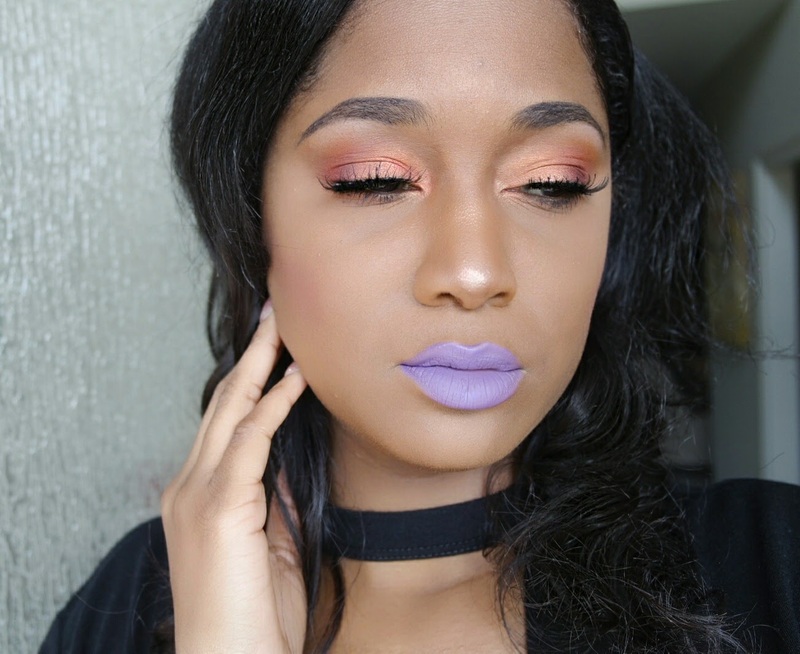 Glam look that will give.